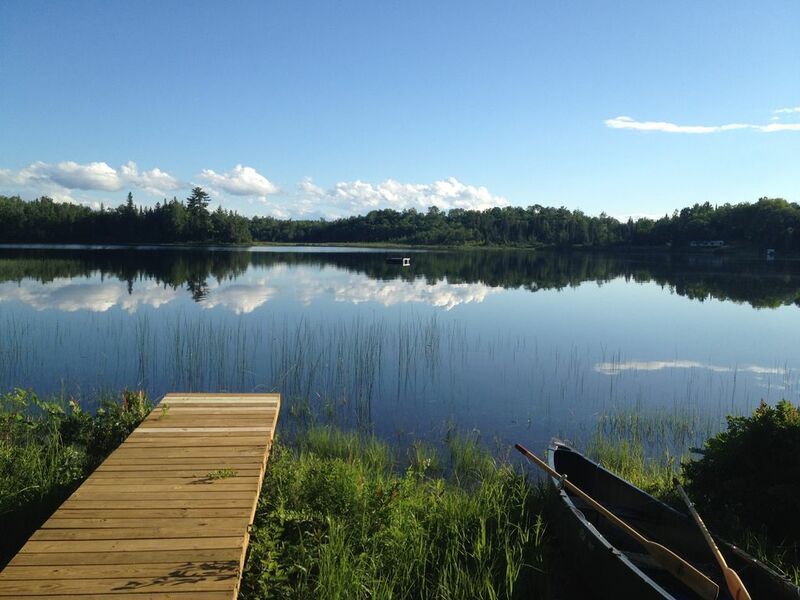 Relax and Enjoy Beautiful Lake Michigamme! Wonderful cabin on Lake Michigamme with over 300 feet of lake frontage. You'll enjoy the 4200 acre lake..boating, fishing, tubing, or swimming out to the swim raft. There's a dock for your watercraft.. If you enjoy fishing, Michigamme has a wide variety of species, Brook and Lake Trout, Smallmouth Bass, Muskies, Northern Pike, Walleye, Perch Enjoy great hikes through nearby Craig's Lake State Park or hike to the many waterfalls scattered throughout the area. There are great golf courses in the area. End the day watching the sunset from the lakefront deck, then head into the screen porch for the evening. You'll love the 'treehouse' feel! Upper level has a fully equipped kitchen with large eating area, living room with stone fireplace, 2 bedrooms (1 queen, 2 bunks), full bath, . Walk right out to the upper deck and enjoy the view. The queen size bedroom and full bath downstairs offers a nice private space for grandparents or two families. The large screen porch is a great space to relax and enjoy game time at the big table or curl up with a good book and the peaceful lake view. for fishing, tubing, swimming to our swim raft, watching the sunset over the water! Winter sports are plentiful with over 200 inches of annual snowfall and hundreds of miles of trails all the way to Lake Superior. You can watch your 'tip ups' from the cabin or snowshoe out to check if you've caught a Walleye, Northern Pike or Perch! Lots of trails close by for great snow mobiling, cross-county skiing and the downhill slopes of Marquette or Indianhead less than 50 miles. We love the U.P. and wanted to be on a big lake. We built our cabin in 2005. It's a great place to get away from it all year round. Such a wonderful time in a beautiful setting! We stayed in this beautiful cottage with another family (4 adults & 4 kids total) and had a wonderful time. The cottage is clean and very well stocked with necessities. We spent a lot of time swimming in the lake and making fires in the fire pit. I would highly recommend this cabin to any and all! We had a great experience on our visit. The CABIN is wonderful with all necessary equipment for cooking and grilling out. The Grand Kids enjoyed the use of the Canoe. Also, cabin was across the cove from my Grand Fathers camp. We enjoyed our exploring walks with entire Family every Morning. A Wonderful UP experience. We stayed for a week, with this being our first time renting a cabin. We found it to be a very relaxing experience and the cabin had a true homey feel to it . We were extremely comfortable and the cabin had everything we needed. Our whole group was very happy with the rental. Tom and Diane easy to work with for the rental. This was the most relaxing cabin we been to yet! Beautiful place!